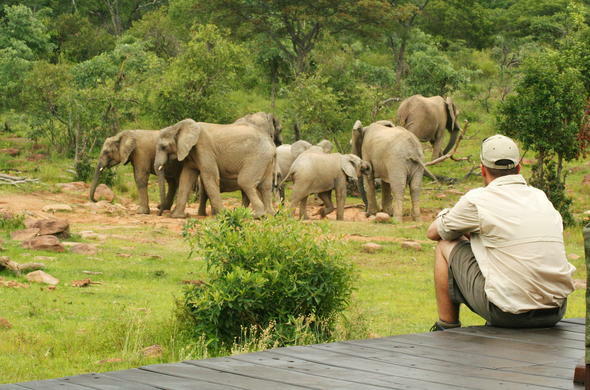 Secluded deep in the Waterberg mountains is Makweti Safari Lodge. Exclusive and stately, it rests comfortably among the rocks and indigenous trees that blanket the hills and valleys in these parts. Giant euphorbia trees lend a surreal, ancient air to this graceful and elegant lodge, situated in the heart of the Welgevonden Private Game Reserve, a 33 000-hectare wilderness in Limpopo in the northern region of South Africa.